A wave of farmers, business owners and renewable fuels supporters made the trek to Des Moines, Iowa on Thursday to take a stand against the Environmental Protection Agency’s (EPA) proposal to slash the Renewable Fuel Standard (RFS) and cut the amount of ethanol blended in gasoline. Whether they’re in the White House meeting with President Obama or at the Bushmills Ethanol plant in Atwater, Minn. meeting with farmers, Minnesota’s top elected leaders are fighting hard to protect the Renewable Fuel Standard (RFS). “This proposal is wrong for our state and it’s wrong for America,” U.S. Senator Amy Klobuchar told a room full of farmers and renewable fuels supporters on Monday at the Guardian Energy ethanol plant in Janesville, Minn.
Is your "Don't mess with the RFS" letter in this stack of thousands? When the Environmental Protection Agency (EPA) announced it’s proposal to gut the Renewable Fuel Standard (RFS) and slash the amount of the ethanol blended in gasoline, Minnesota corn farmers got angry. And started writing letters. Thousands of letters, actually, with more coming in every day. 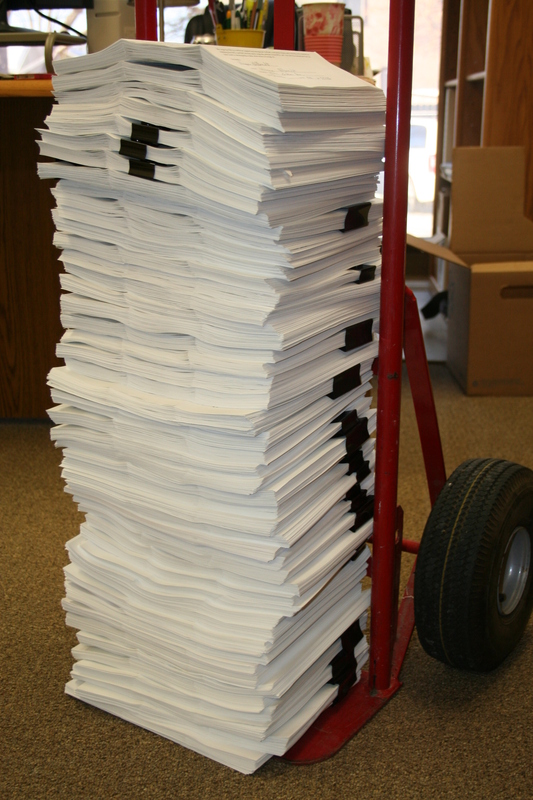 The letters (some are pictured above, stacked high) tell EPA “Don’t mess with the RFS” and should start arriving on EPA’s doorstep next week. While the restaurant industry continues pedaling myths about ethanol and lobbying Congress to repeal the Renewable Fuel Standard (RFS), it’s raking in record profits. According to a National Restaurant Association forecast, sales will jump 3.6 percent in 2014 to a record $683.4 billion. This will be the fifth consecutive year of growth for the restaurant industry. Restaurants are enjoying these record profits despite making sky-is-falling claims about ethanol driving up food costs and hurting their bottom lines. It’s one thing for farmers to use the latest in farming technology. It’s another to make sure they’re getting the maximum return on their bottom lines when they invest in new technology. Farmers today have access to more gizmos and gadgets than ever before. We are dedicated to identifying and promoting opportunities for corn growers while enhancing quality of life. © 2019 Minnesota Corn Growers Association.